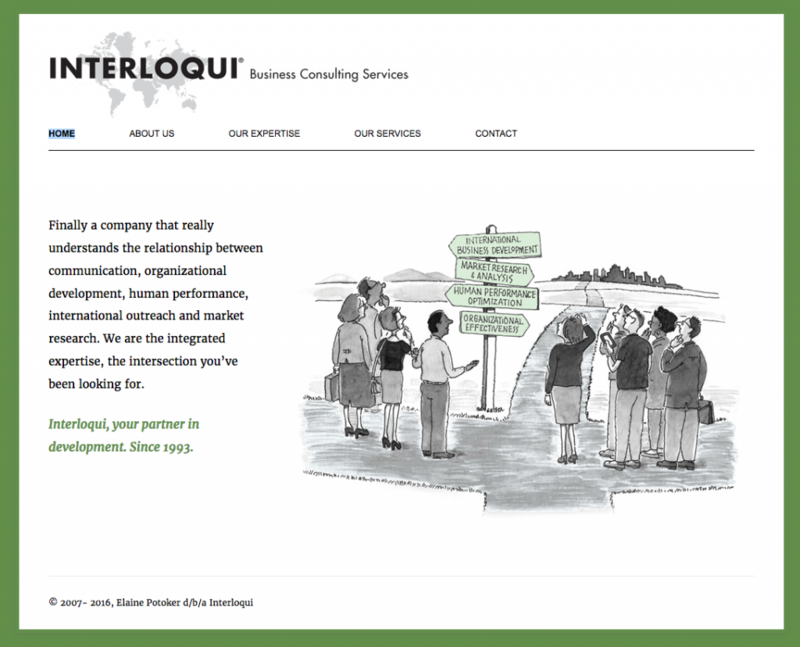 Custom Communications worked with Elaine Potoker, owner of Interloqui, and Tina Tarr Design, to build a simple, yet elegant Wordpress-based web site to promote the client's Business Consulting services. The site features custom cartoons and an interactive navigation system which helps guide visitors directly to the client's specialized services. The project included training for the client who will maintain the site.